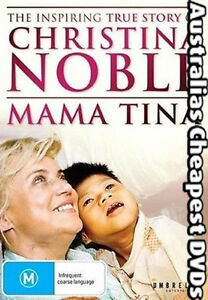 In 1989, driven by a dream and by the haunting memories of her own past as a street kid, Irish woman Christina Noble traveled to Vietnam. Against extraordinary odds she opened the Christina Noble Children's Foundation, a haven of food, beds, medical aid and schooling where the street children of Saigon can find safety and new beginnings under the protection of Mama Tina. This documentary details Christina's courageous and dedicated tale of achievement, following the staunch campaigner for children's rights, as she makes a difference providing love and hope for Vietnamese street kids.